Whipped up a little somethin' somethin' for my mother dearest and did a step-by-step photo tutorial so anyone can make one! Trace the inside of the frame onto the backside of white cardstock then trim it 1/4" wider on all sides to create the base of the project. 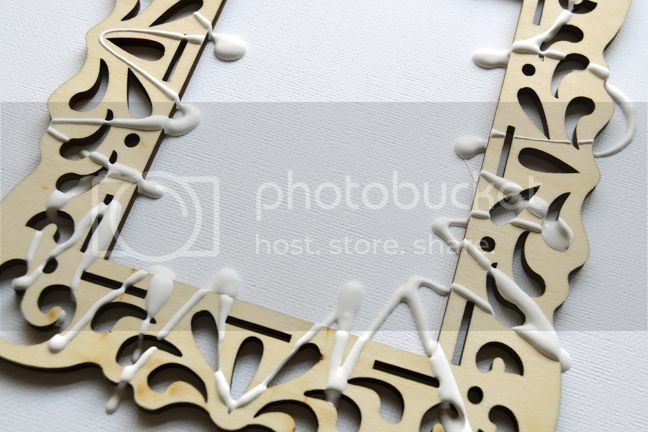 Paint a wooden frame white and set it aside to dry. 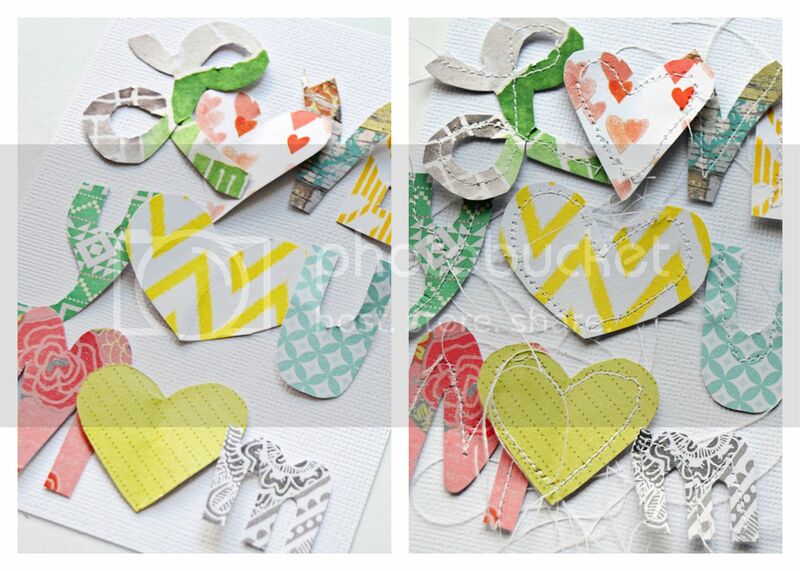 Hand cut letters and hearts from patterned papers to make a sentiment then carefully sew through each letter. Keep the string ends long for a whimsical look, or trim them for a cleaner look. I kept them long. 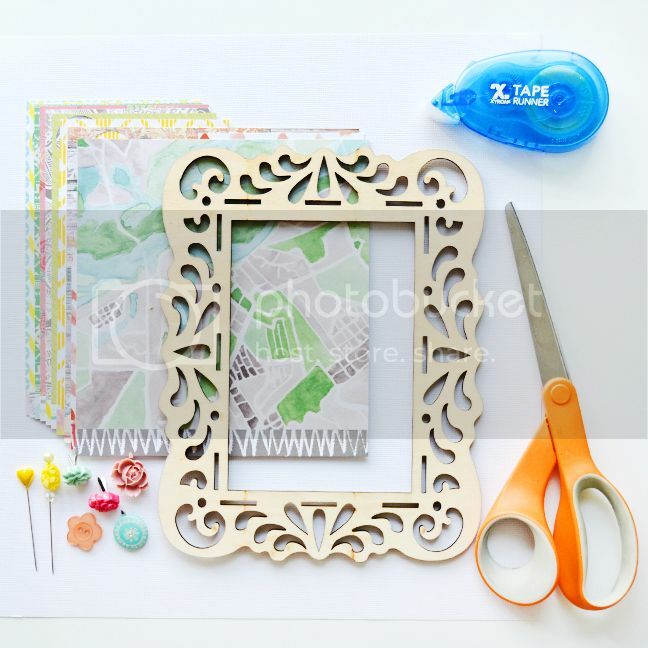 Adhere the project to the back of the frame and embellish with buttons, brads, and stickpins. 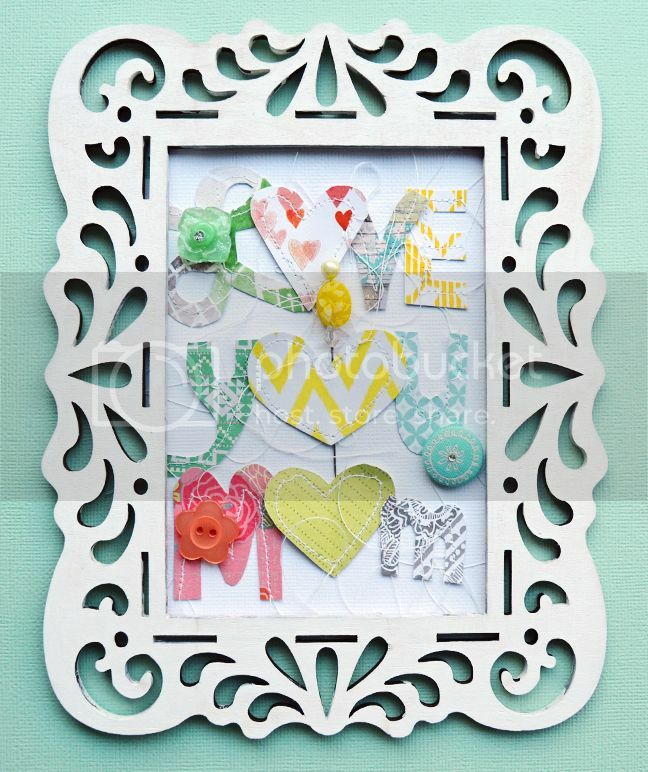 A beautiful frame for Mom to hang in her home, laundry room, craft room, kitchen, etc! This is a great project! Your mom is a lucky woman! Such an adorable Mother's Day project, Paige! I love how you used the hearts to complete the words for the sentiment! Lucky meeee! Thanks Paigerini! Love you!